The GHS has published a wide range of books, including our new Pocket History series, our 3-volume bicentennial set, and more. You can order them online by visiting our online store here. 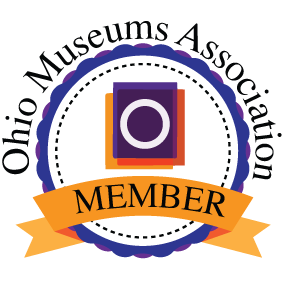 You can also purchase many of the titles below at the Museum itself during open hours, at Readers' Garden bookstore in Granville, or by contacting the GHS directly at granvillehistorical@gmail.com or 740-587-3951. For the items below, the beginning pages have been scanned, including the introduction and table of contents, and placed in PDF format (click on the "sample" link to view). Volume I is subtitled A Purpose, A Plan, A Place. Edited by Tony Lisska and Louis Middleman, it features an introduction and six sections focusing sequentially on Granville's prehistory (including Native American mound-builders), Yankee settlement, the Civil War era, World War I, World War II, and post WWII through the contemporary period. The authors are nine local historians and scholars with expertise in these eras. The second volume, Reflections and Impressions, comprises a series of essays on various topics, such as "The Literary Culture of Granville," "Food in Granville," and 'The Granville Public Schools." It also includes significant reprints from the newsletter of the Granville Historical Society, The Historical Times. Volume II features 20 authors and was edited by Clarke Wilhelm. Volume III, Images: Past and Present, was created by Florence Hoffman and Theresa Overholser. Pictorial in content with extensive captions, the volume features photos and drawings of bygone eras as well as the recent past. The collection draws heavily on the archives of the Granville Historical Society and on important institutional and individual sources. Difficult though it may be to imagine, today’s tidy college town of Granville, Ohio was once an emerging industrial center boasting woolen mills, a belching iron furnace, and the stench of three tanneries. What was Granville like during its industrial past, and why did heavy industry mostly fade from the Granville we know today? By the autumn of 1860 the United States was on the verge of civil war. A small Ohio community best known as a center of education and culture, Granville responded to the conflict from the day Fort Sumter was fired on until the last troops returned home, both on the battlefield and the home front. An incredible number of individuals from the Granville area rose to become senior military leaders, and one would be hard pressed to find any other similarly sized community in the nation that matched, let alone exceeded, its importance. This is the extraordinary story of one village’s outsized role during the greatest crisis in U.S. history. The Civil War affected nearly every family in the North and South, having the highest number of casualties per capita of any war in which the United States has been involved. Dr. Edwin Sinnet and his wife, Sarah Wright Sinnet, of Granville were among those affected by the war. Dr. Sinnet served as a field surgeon and as medical director of hospitals near the battlegrounds. Sarah was his young wife, left at home to cope with the difficulties of managing a household and two young children during his years of service. This volume reproduces excerpts from the letters they wrote to each other during those tumultuous years. The letters are a fascinating glimpse into their daily lives and concerns, containing comments on why the war was necessary, the life of soldiers in camp, instructions on how to handle money matters, and the ailments of people on the homefront. Many people have heard of the great Granville "Riot" of 1836, in which residents clashed over the issue of slavery. But what actually happened during that event, and why? What was the historical context for the riot in central Ohio, and how did it fit into the larger national debate? In this rich, readable volume, Denison University historian Mitchell Snay uncovers the political and cultural struggles over slavery, how they impacted Granville, the involvement of prominent Granvillians on the local and national stage, the area's role in the Underground Railroad, and the deep questions over citizenship and freedom that divided the village—and the nation. Edited by Theresa S. Overholser and Anthony J. Lisska; edited and compiled by Laura Evans; introduction by Richard Shiels. Jacob Little, the pastor of the Granville Congregational Church, wrote the first historical narrative history of the village of Granville, Ohio. Little arrived in Granville in 1827 and spent the next thirty-eight years as the shepherd of his flock. The text is both a chronological narrative together with an account of individual events that Little deemed important for the story of Granville. The text has been supplemented with drawings, maps, and pictures from local archives and with numerous content boxes written by local authors. Unhitch the Horse, I’m Here!